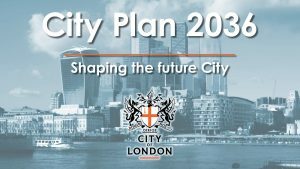 The City of London Corporation is consulting on two important policy documents setting out proposals for the future development of the City. The City Corporation’s draft Local Plan, City Plan 2036, contains policies on a wide range of topics relevant to the planning and development of the City, including offices, housing, open space and greening, shops, culture and community services. You can view the full document by visiting www.cityoflondon.gov.uk/cityplan2036. 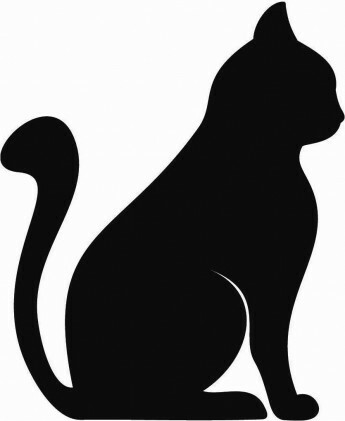 Comments can be submitted via the website or by writing to localplan@cityoflondon.gov.uk. The Local Plan consultation will close on 28 February 2019. 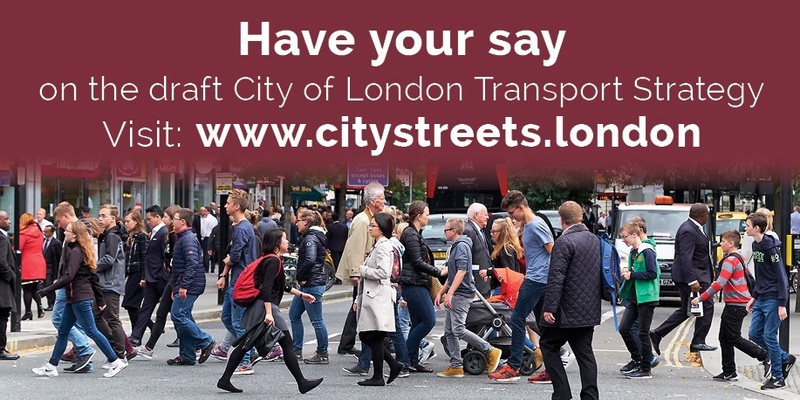 The City Corporation’s draft Transport Strategy sets out proposals for the design and management of the City’s streets over the next 25 years to ensure the Square Mile remains a great place to live, work and visit. 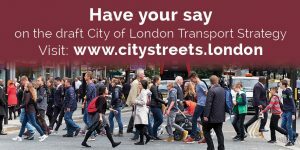 You can view and respond to the Transport Strategy proposals by visiting www.citystreets.london. The Transport Strategy consultation will close on 13 January 2019.